Template for lesson plan quick notes. 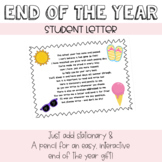 End of the year student letter to go along with stationary and a pencil for an end of the year gift. Beginning of the year student information sheets. Color and B&W. An Easter prayer for every jelly bean color! 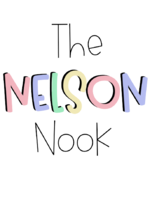 Ask The Nelson Nook a question. They will receive an automated email and will return to answer you as soon as possible. Please Login to ask your question. I have been teaching since 2016. I have taught several primary grades and I am currently a First Grade teacher. I LOVE teaching First Grade! I believe in creating an engaging, creative and motivating environment for students to grow using hands-on learning!